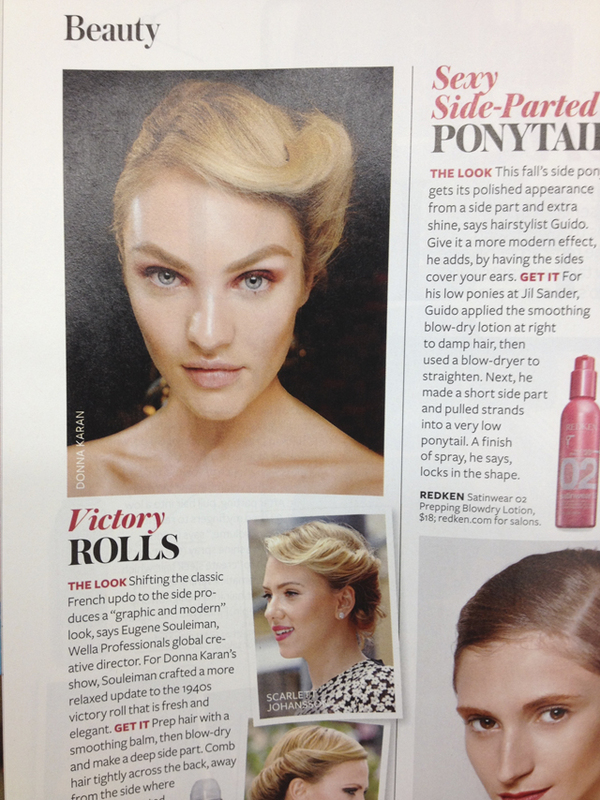 Victory Rolls is featured in September’s InStyle magazine. This is a softer, modern take on the forties hair do. 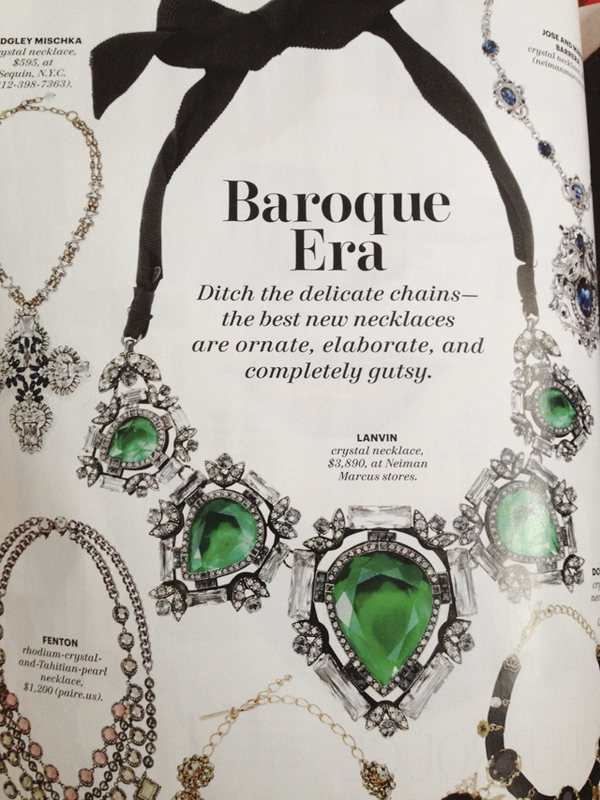 This antique-inspired necklace by Lanvin. Swoon! The ‘streamlined pantsuit’. Love this edgy yet chic cashmere and leather jacket and wool satin pants combination by Dior.